A restraint is a strap-like devise that usually is applied to the wrist or ankle, which limits patient's movements. It can be used to assist with medical treatments, examinations or for protection of the patient. In recent years there has been a desire to use means other than restraints to offer protective measures to nursing home patients. Restraining patients can result in increased anxiety and restlessness due to the loss of self -control. In many instances, restraints are necessary to prevent injury or interruption of therapy. Perhaps, the nurse needs to insert a urinary catheter (sterile tube used to collect urine) or take a blood sample from a disoriented patient. When the nurse finds it necessary to apply a restraint, there are guidelines that should be followed. Inappropriate use or application of a restraint can lead to a serious injury or even death. A knowledgeable Chicago nursing home abuse and neglect attorney understands that care givers are legally and ethically responsible for the safety and well-being of patients in their care. Allow the patient as much freedom to move as possible and at the same time serve the purpose of the restraint. Patients must not be compromised. Pad bony prominences under the restraint in order to avoid skin irritations. Restraint should not restrict normal positioning of the body. Use the least conspicuous type of restraint. Remove the restraint at least every four hours. Provide ROM and skin care. Informed consent must be obtained from a patient or guardian prior to the administration of a restraint. Restraints should not be used without a specific order from the patients treating physician. Almost any type of restraint has the potential for harming the patient. It is extremely important to monitor use and be certain that it is applied correctly and removed periodically. Failure to do so can result in a serious injury or death. If you or someone you love has sustained injuries or loss from a Chicago nursing home neglect injury, contact Nemeroff Law Offices today. 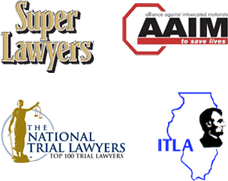 Our experienced Illinois nursing home abuse and neglect lawyers are available to speak with you directly.